Paul Taylor and Phil Denton after finished the NWOBHM cult band ELIXIR (popular for their debut album “Son of Odin” which many consider one of the greatest post-NWOBHM gems) opened a new chapter with MIDNIGHT MESSIAH. In the Blood & Iron realm, we see this brilliant debut album as one of the best British Steel releases in many years! So we thought this one had to be out on our favourite format. 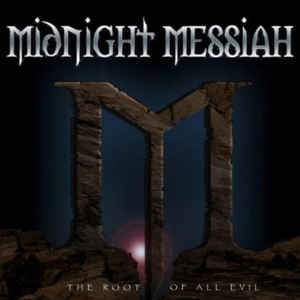 Midnight Messiah seem to catch where Son of Odin left off, a true modern day answer to the 1986 classic but at the same time with their own identity, given the perfect balance between the youthful energy of younger members and the know-how of the songwriting veteran duo of Paul & Phil. The future of British Heavy Metal shines on! Categories: DISTRIBUTION, VINYL-Distribution, VINYL-RECORDS. Tags: Blood And Iron Records, Heavy Metal.